The government of Prince Edward Island has announced that 10 young companies will receive Ignition grants of $25,000 each to develop their products or services. The government said Tuesday the grants would be awarded to the companies to help commercialize their new products. 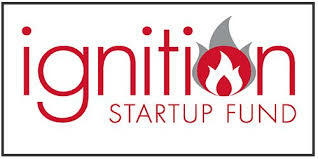 The government created the Ignition Fund in 2014, and since then it has assisted 38 new or expanding Island businesses. Exit Speed Inc. – To patent and market an innovative training apparatus that will increase baseball or softball players' bat speed and power. Island Aquatech – To commercialize a novel oyster cage flipper that provides a simple and cost-effective method for flipping oyster cages. Redrock Power Systems – To develop and commercialize zero-emissions fuel cell solutions for use in the marine industry by working with world-leading suppliers and industry-leading customers. Fresh Start Fauxmage – To produce nut-based, dairy-free, vegan cheese alternatives in a variety of flavours. Lighters Candle Company – To produce all-natural soy wax candles and home products. MacWorth Industries – To produce the Highway Safety Prevention Bar, a safety device intended for use on school buses. Taylor Pharmaceuticals – To develop and manufacture a hybrid high flow nasal irrigation device. The Bony Broth Co. – To increase production, to enable export, and to develop new products. FieldEtect – To commercialize a handheld device to that will permit DNA identification of known pathogens in the agriculture sector. Cradle Technology Design Inc. - To develop an innovative urinalysis device to provide athletes with reliable, informative, and empowering health data to help optimize their performance. Disclosure: The P.E.I. government is a client of Entrevestor.